Looking for some things to do in Castle Hill? We have a great list of attractions and activities you can do with family or friends. Castle Hill is a relatively peaceful and quiet suburb – though if you research and do look around you may find that there are more things to do than you have initially thought. Here’s what to do in the area. 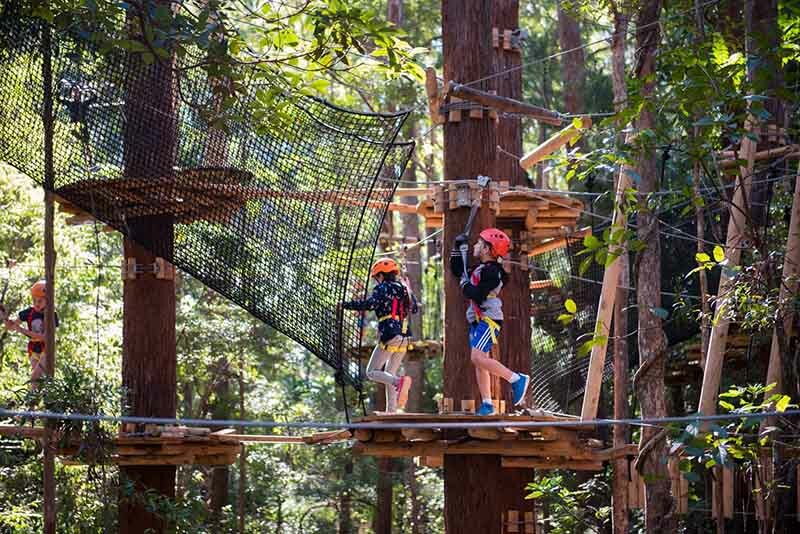 Situated within Cumberland State forest, Tree Top Parks are not only just for kids – they are also great for teens and adults alike. The minimum age is 3. Essentially Treetops is an adventure park with obstacles, high up in the trees. Though don’t be scared the equipment are top notch with safety measures in place. The Hills Treetops has beginner courses as well as advanced courses. The height ranges from 10 meters to 25 meters at the peak. There are also picnic with bbq areas and toilet facilities. There is no food sold at the venue. Make sure you bring water as this is one challenging activity not to be taken lightly. It would also be wise to bring gloves or you can purchase at the venue. Relive your childhood in this super trampoline park. Suited also for kids and adults there is wide area for users to jump, bounce and flip about. There is dodgeball, olympic trampolines, s massive super trampoline, foam pits, basketball ring, wall runners and child areas so that you won’t be bored. There’s a cafe so that you can also order drinks and food to regain your energy – but it would be wise to only eat after jumping around. There is also The Edge Rock Climbing Centre & Zone Bowling Castle Hill nearby if the trampolines is not enough. For those that want to be abit more laid back and wouldn’t mind diving into the historic past of Australia. This museum is a mix of applied arts, science and history. You will find lots of treasures and artifacts that are on display. You can also book tours and use the opportunity to learn more about conservation, collection and research. From vintage vehicles, to handmade treasures and organics, there is something interesting for everyone of all ages. Something a bit different – Castle Hill is home to one awesome BMX track. There are fortnightly races and daily training available for all ages. This is not only fun but it is also an extreme sport that will definitely get you in shape. Go on the slopes and hills and try to beat your personal best. Though you would need to bring your own bike and gear. Other notable sport venues closeby is the Hills Basketball Stadium. The name says it all. This is a peaceful 10 acre koala park in the suburban area. 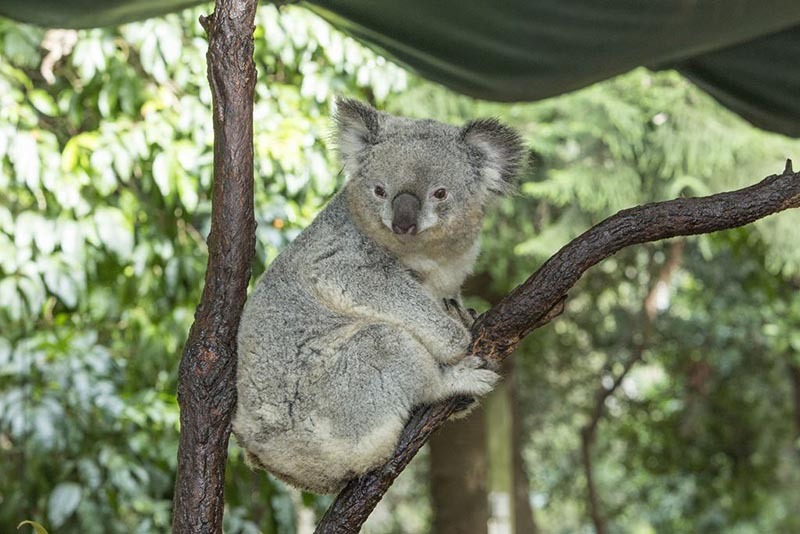 Not only does it have koalas, but there are also other Australian native fauna like kangaroos, wallabies, emus, kookaburras, wombats and more. There are picnic areas as well as BBQ spots available for bookings. Tours are also available for groups that want to gain a thorough understanding of the habitants and their habitats. Parking is free and there are kiosks. These are 5 top attractions and things to do in Castle Hill if you are looking for ideas. These places will surely keep you busy. Though there is still much more in the area that you could check out like Castle Towers which is a popular mall with lots of food options. There is also Event cinemas, IPlay, Holey Moley, Strike Bowling and more.